Offered for sale is this semi detached house situated in the popular residential area of Wyke Regis. The accommodation in brief comprises of lounge, dining room, kitchen, two bedrooms and bathroom. Outside there is off road parking to the front and an enclosed garden to the rear. DINING ROOM: 8' 6" x 8' 0" (2.59m x 2.44m) Rear aspect double glazed window, wall mounted radiator, feature fireplace, picture rail. KITCHEN: 11' 2" x 9' 3" (3.42m x 2.83m) Two side aspect double glazed window, rear aspect double glazed obscure door, wall mounted boiler, range of wall and base units with work surface over, 1 1/2 inset sink and drainer, space for cooker with hood over, plumbing for washing machine, built in cupboard. 1ST FLOOR LANDING: Side aspect double glazed window, loft access, doors to rooms. ENSUITE: Fully tiled, walk in shower cubicle. BEDROOM TWO: 11' 7" x 9' 1" (3.53m x 2.77m) Rear aspect double glazed window, wall mounted radiator, built in cupboard, picture rail. 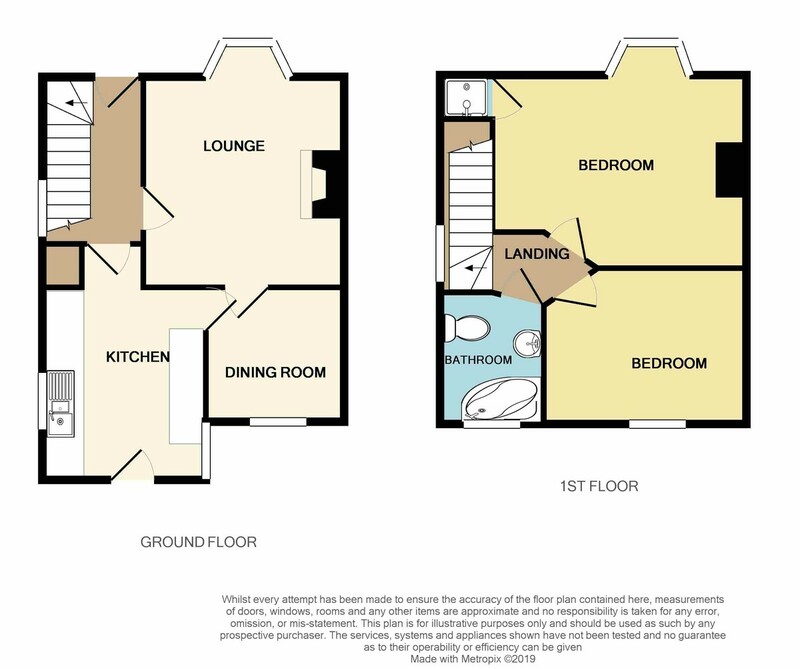 BATHROOM: 7' 8" x 6' 2" (2.34m x 1.88m) Rear aspect double glazed obscure window, corner bath with telephone mixer shower attachment, low level WC, wash hand basin, fully tiled. OUTSIDE FRONT: Block paved for parking, access at side to rear.